Entrance Hall: central hall with impressive staircase. Terracotta tiled floor. Cloakroom with WC. Boot Room for coats and shoe storage. Utility Room: Belfast sink, washing machine, tumble dryer. Door to garden. Garden Room: Vaulted double height ceiling with gallery above, large comfy leather sofa, bean bag, TV, DVD, and glazed doors to garden. Drawing Room: Beautifully presented large room with dual aspect windows, open fire, 2 big sofas, 2 armchairs and bureau. Dining Room: Formal dining table and chairs seating 8, sideboard. Wide staircase with banister leading to galleried landing with sofa and distant views of the sea. Bedroom 1: Spacious room overlooking the garden with glimpses of the sea, super king-size bed, bedside tables and lamps, chest of drawers, built-in cupboards and flat screen TV. En-suite bathroom: roll-topped bath, walk-in shower, basin in vanity unit, WC. Bedroom 2: Super king-size bed, bedside tables and lamps, chest of drawers, built-in cupboards, small sofa and flat screen TV. En-suite bathroom: bath with shower mixer taps, hand basin and WC. Bedroom 3: Super king-size bed, bedside tables and lamps, chest of drawers, built-in cupboards, small sofa and flat screen TV. En-suite bathroom: bath with shower mixer taps, hand basin and WC. Bedroom 4: Twin beds, bedside tables and lamps, chest of drawers, built-in cupboards, flat screen TV. En-suite shower room: walk-in shower, hand basin and WC. There is a hairdryer in the house. There are highchairs, travel cots, a wheelchair and 2 mountain bikes available to hire on request. Wrought iron gates from road to front driveway with parking for 4 cars. Walled rear garden which is private and fully enclosed with a terrace leading to a lawn with shrub borders. 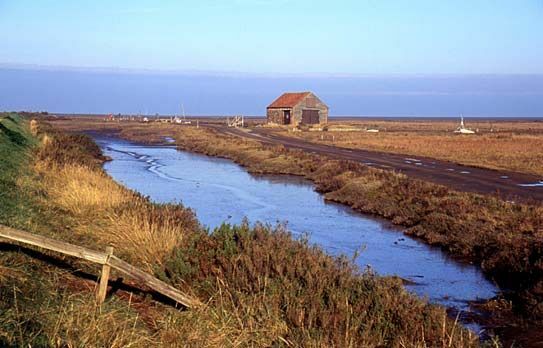 A short walk to Thornham's excellent selection of pubs and the coastal path across the creeks and marshes leading to the unspoilt sandy beach. Loved the space and the homely feel. It didn't feel like a 'rental' property but more like someone's home. Very comfortable and exceedingly warm. Thank you for the Christmas Tree! The house was absolutely perfect for our family Christmas and we loved every second.